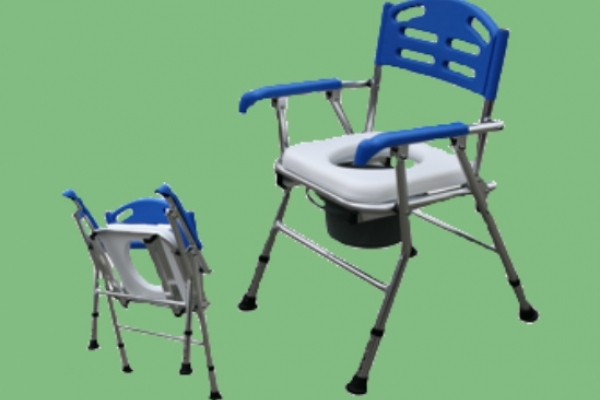 The Roeburn (Row-burn) space efficient commode is great for portable use, or in a room where you would prefer it to be packed away the majority of the time. It is constructed with a lightweight aluminium frame and soft padded backrest and seat. This means it requires only minimum maintenance, as the aluminium does not rust, and the upholstery can be wiped with a general purpose wipe regularly. The bucket is also removable, so allowing easy disposal and effective folding. This model is height adjustable.